If you want to record the actions of others without their knowledge then a range of ingenious covert cameras are available to satisfy your undercover needs. Spying on others has never been easier. You can now buy video cameras disguised variously as baseball caps, air fresheners, books, briefcases, and almost any other unassuming item you can think of, to secretly record the movements and actions of others. But who would be interested in such gadgets besides oddball voyeurs who get a perverse pleasure from spying on others, you might think. However, such sophisticated camera technology, with high resolution chipsets, stereo sound and integrated time and data stamping, has not been developed with the nosy parker in mind - covert camera technology is big business. 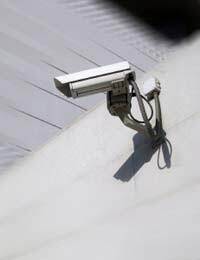 Covert video surveillance can be a valuable tool in a number of different scenarios. Rather than rely solely on long-focal-length camera lenses to obtain visual evidence, private investigators are able to get much closer to their subjects with a covert camera. Trading Standards use covert cameras to compile evidence against misbehaving organisations, and companies use undercover security guards fitted with cameras to monitor suspicious customers. However, a more controversial scenario is where companies use hidden cameras to monitor their own staff. The British Security Industry Association has estimated that employers spend 12 million pounds a year on covert camera equipment to monitor their employees, on the pretext of countering theft, violence or sabotage. When, in 2008, the German supermarket chain Lidl was accused of spying on its staff, in its defence it claimed it had employed detectives and mini-video cameras in an effort to reduce shoplifting. Evidence suggested otherwise – records were discovered detailing obtained personal information such as how many times staff members went to the toilet, details about their love lives, finances and even menstrual cycles. Such stories do little to alleviate concerns about living in a ‘surveillance society’ where our everyday actions are scrutinised by unknown eyes. Neither does the increasing sophistication of surveillance camera technology which has become widely available and - as in the case above – much harder to detect. Video cameras are now available which are small enough to fit - along with their transmitter and battery power – inside a packet of chewing gum. The covert camera market offers huge potential for spying, however ethical the operation may be. An example of a commonly available covert camera is one that is incorporated into an air freshener. To the naked eye it looks much like an ordinary air freshener, and with its waft of fragrant aroma, it behaves like one too. However from behind its innocent plastic shell a high powered camera peers out, one that once activated will transmit audio and video to a dedicated Digital Video Recorder (DVR). The DVR will need to be located in another room, and is small enough to be hidden out of view. There are no wires connecting the camera up to the DVD, the air freshener device is completely wire free and therefore totally portable. To save you from being discovered fiddling suspiciously with an air freshener, the camera can be switched on or off with a remote device from up to 100 feet away. For on the move secret recording, covert cameras are available in the guise of a baseball cap. A high resolution CCD camera is fitted into the front of the cap along with a DVR with colour display and a battery that can charge the camera for up to several hours. Unlike the air freshener camera, this is a wired device. However, the jack lead from the camera attaches directly into the neighbouring DVR, so there are no conspicuous cables trailing behind you as you move. The video footage is recorded onto a removable SD (Secure Digital) card that can either be played back on the DVR display or on a computer.